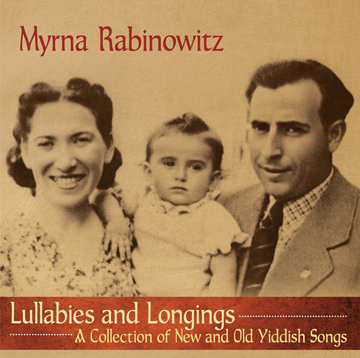 Lullabies and Longings - Myrna's first solo Yiddish album. 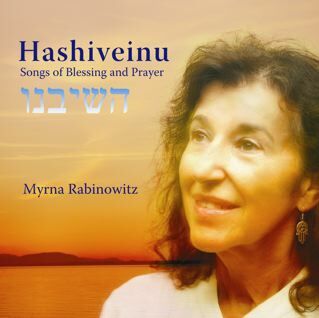 A collection of both original songs written by Myrna and beloved traditional Yiddish songs all sung from the heart. New lullabies, songs of tribute to a mother and father and songs of longing will touch the Yiddish soul and open your heart. Read about it here. OR SHALOM – Called "the Classic" by many, this was the first album recorded by the Shir Hadash trio – Hanna Tiferet, Myrna Rabinowitz, Harley Rothstein. It contains 12 melodies, mostly from the Shabbat morning service that were first sung in the Or Shalom community in Vancouver. Many have entered "traditional" liturgy and are familiar around the world. They include Or Hadash, Nishmat, V’hi Noam, and Oseh Shalom. AND YOU SHALL TEACH YOUR CHILDREN – How we live our lives is how we teach who we are, and we are all children of Mother Earth. 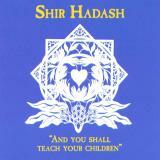 This second album by Shir Hadash has guest vocals by Elisha Siegel and Shawna Rothman as well as a children’s chorus. 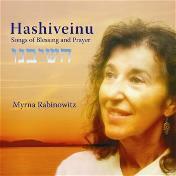 The 13 songs are light-filled and open to the spirit of Shekhina. Included are Ozi V’zimrat Yah, A Blessing for My Daughter, Modim, Ani L’dodi, and the title song. 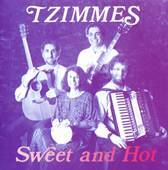 SWEET AND HOT – Take the sweetness of Yiddish and Klezmer and the hot soul of Ladino and Sephardi. Add the sounds of Israel and the Diaspora today. Mix well and cook traditionally. This is Tzimmes! Group members Yona Bar-Sever, Moshe Denburg, Myrna Rabinowitz, and Julian Siegel recorded 13 delectable treats, including: Yossel Yossel, Morenica, Adio Querida, Shein Vi Di Levone, Rozhinkes Mit Mandlen, Gib Mir a Heym. 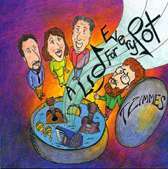 A LID FOR EVERY POT –Tzimmes brings to your table their collection of 12 songs with both original creations and unique arrangements of traditional repertoire. Hebrew, Yiddish, and Ladino songs and instrumentals represent a fusion of East and West. 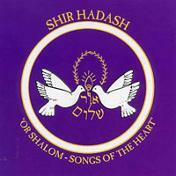 Songs include: Avre Este Abajour, Oyfn Pripetshik, Eishet Hayil, Debka Hasid, Rahav Hayam, Tayere Malkele, Russian Sher. Listen to samples here. 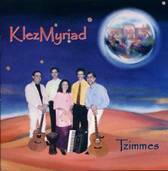 KLEZMYRIAD – Exotic rhythms and melodies evoke the global Jewish experience in this third recording by Tzimmes. These 14 selections performed with great joy and musicianship, include traditional and new songs in English, Ladino, Yiddish, and Hebrew. You will enjoy: Shdemati-River of Light, Moyshele Mayn Fraynd, Fanfarinette a la Grecque, Maoz Tsur, Klezmyriad, Always Forgiven, Avre Tu Puerta Serada, Dror Yikra. Hear samples here.